The Regent Cinema was located at the corner of Frankfort Street and Cambridge Street. It opened on 21st November 1931 with Charlie Chaplin in "City Lights". 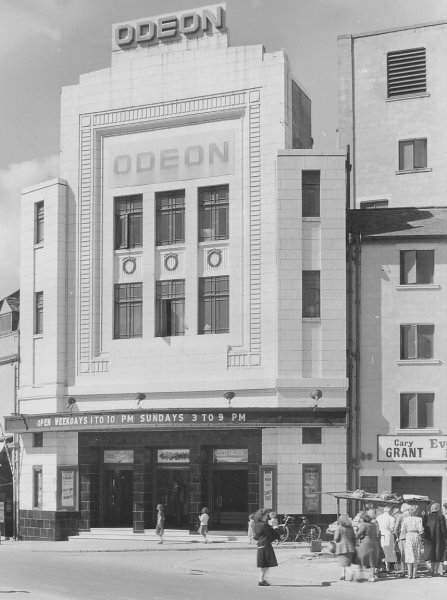 Built for an independent operator, it was later taken over by the County Cinemas chain, who in June 1940, were taken over by the Oscar Deutsch chain of Odeon Theatres Ltd., and re-named Odeon. Seating was provided in stalls and circle levels, and the decoration was in a lavish Art Deco style. During World War II, Glenn Miller & his Orchestra gave concerts for American servicemen based nearby, and in May 1944, General Montgomery used the building to talk to troops stationed in the area. The Odeon managed to survive the damaged caused by German bombs in the city. Last operated by the Rank Organisation, the Odeon was closed on 8th September 1962 with Shirley MacLaine and Audrey Hepburn in "The Loudest Whisper". 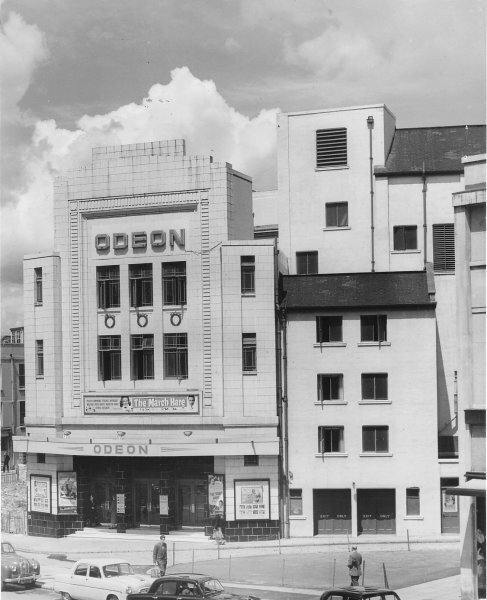 It was demolished for redevelopment of the area, and the Odeon name was transfered to the former Gaumont Cinema in Union Street. “The Loudest Whisper” was known as “The Children’s Hour” in the United States. Given the then controversial subject matter of the film, I imagine the British censors felt the title needed to be changed. I visited the cinema in the late 60s. It had been divided in half to include a bingo hall. The design and film equipment (including 70mm) was a close copy of the Odeon Haymarket in London that was converted at roughly the same time. It was one of the few Odeon’s to be equiped with Victoria 10 projectors and Duosonic sound. 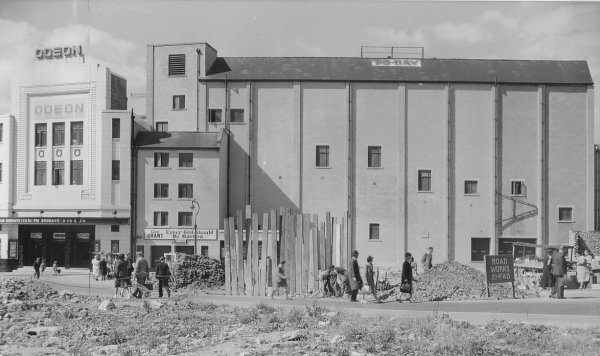 I have realised that my comment (above) must be refering to the Gaumont, that was re-named when this building was demolished and stood on the site of the original Andrews' picture house. Why is there no page allocated to the Gaumont building? Does it still exist? I have not been back to Plymouth since my visit in the 60s. Bill_Gibbs; The former Gaumont, Plymouth does have its own page on Cinema Treassures, it is listed on the right of this page under ‘Nearby Theatres’ as the Odeon Plymouth (its last operating name).